CRM, an acronym for customer relationship management, and is the most critical process of any organization looking to drive growth through product sales or service delivery. 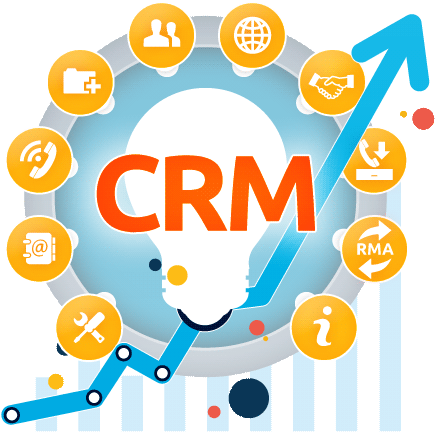 CRM is the life-line of corporations and can deliver superior insights about daily operations to global teams for information and action. Through the CRM all sales lead are generated, advance payments are taken, invoices are recorded along with consequent revenue forecasting, future planning, budgeting, and control are exercised by the top management. It helps immensely in automating the process of responding to customer requests instantly. Streamlining your sales and marketing efforts is the number one benefit of having robust CRM software. CRM is quite simply technology number one that can power an organization to unfettered growth. Lack of manpower in dealing with customer requests can be tackled with good software. Through CRM, you can handle thousands of customer requests, preferences that have been logged in by the frontline staff. And disseminate such information to geographically dispersed teams. Technology: Business owners should consider whether they have the hardware capability to have an in-house managed CRM solution via a desktop solution. Or go for a cloud based solution that can cost a little over ten dollars per month per module or functionality. Scalability: Cloud based systems are advisable as they are hassle-free and can be scaled up or down as per business dynamics. Moreover, business owners need not have to worry about automatic updates or upgrades in a cloud based solution which is a source of competitive advantage. Competitiveness vis-a-vis other software’s: Comparing the prices, features, the functionality of your intended CRM solution with other software’s in the same league is critical to get a sharp insight about your product and its inherent long-term advantages. Pricing: This is a factor if the size of your organization is small and also if your available disposable income for IT spends varies with the cycle of business. Opting for a “pay as you go’ system is the best option for small and medium businesses in most industry verticals. Unique Functionalities: If the CRM solution offered by your technology vendor, can offer sales lead management and deliver all insights on all mobile devices, then it’s the best thing you can have in your business. Brand Equity: The overall reputation of the product in the technology arena, responsive customer service, good word of mouth reputation are the key factors that you need to consider before making a purchase decision. Impact on Productivity: Whichever CRM you pick, it must be easy to use or else you will find that your staff is spending more time getting a hang of the software rather than taking care of customers. Post-deployment, you need to constantly monitor the impact of the CRM implementation on the enterprise productivity. Only then can you get an insight about the return on investment obtained through CRM deployment. Having the best technological solution is a strong source of competitive advantage in today’s market and will help you chart a strong growth trajectory with each passing day. If you are still not able to decide in between Salesforce or Zoho, which CRM is perfect for your business, contact our CRM Consultants to get answers about your queries.